Mexico City is a place that makes it easy to enjoy culture. 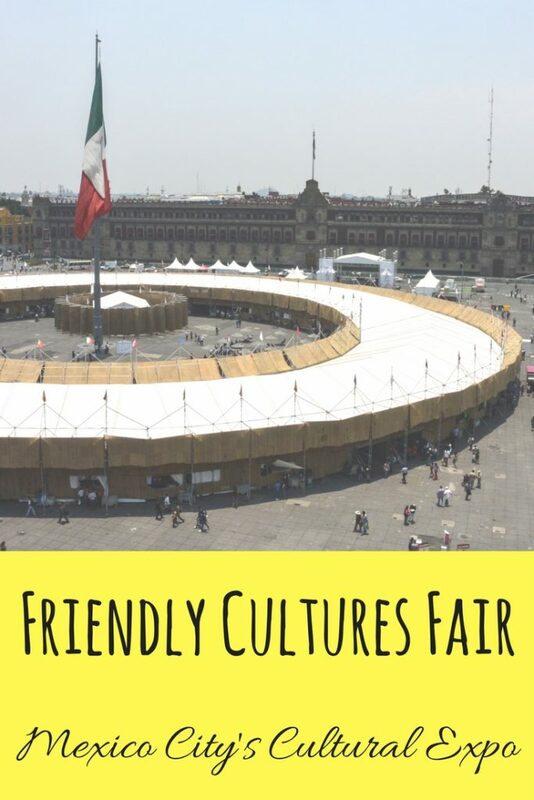 While museums and public art installations are available in the city year round, my favorite annual opportunity to experience diversity and international culture is through the Friendly Cultures Fair in Mexico City. For last year’s fair (in May 2016), my brother was with me in Mexico City. It was his first time EVER visiting me abroad, but also his first time EVER leaving the USA with his shiny new passport. 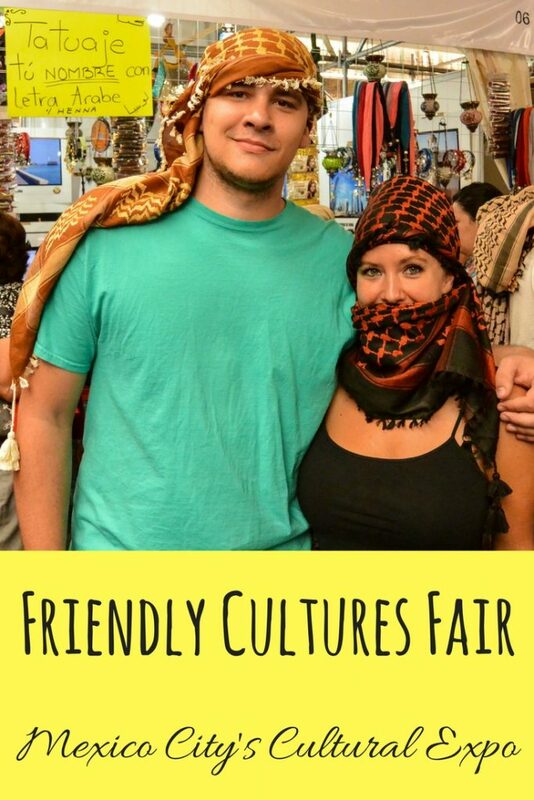 I knew the Friendly Cultures Fair would be the perfect introduction for a travel newbie to the wonderful world of international culture, gastronomy, and art. I wasn’t mistaken! 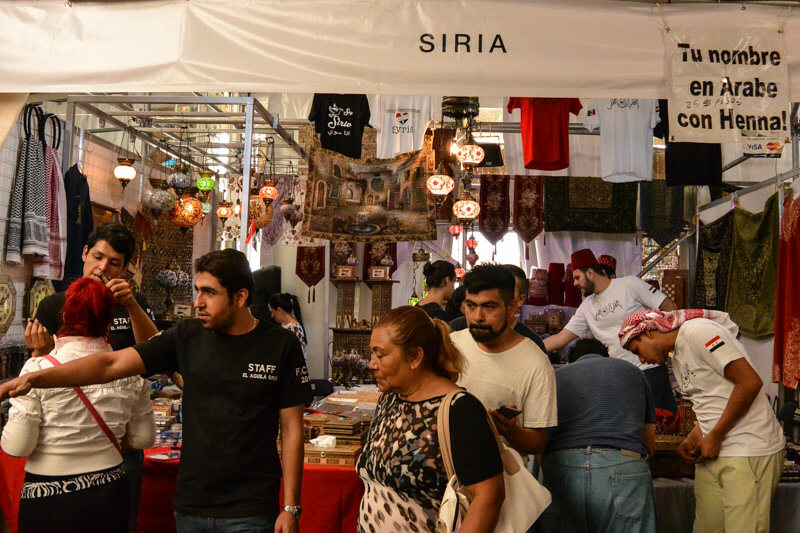 The Friendly Cultures Fair was (and will be this year as well) an awesome place to check out far flung countries and cultures, and is sure to spark a dash of wanderlust in anyone. 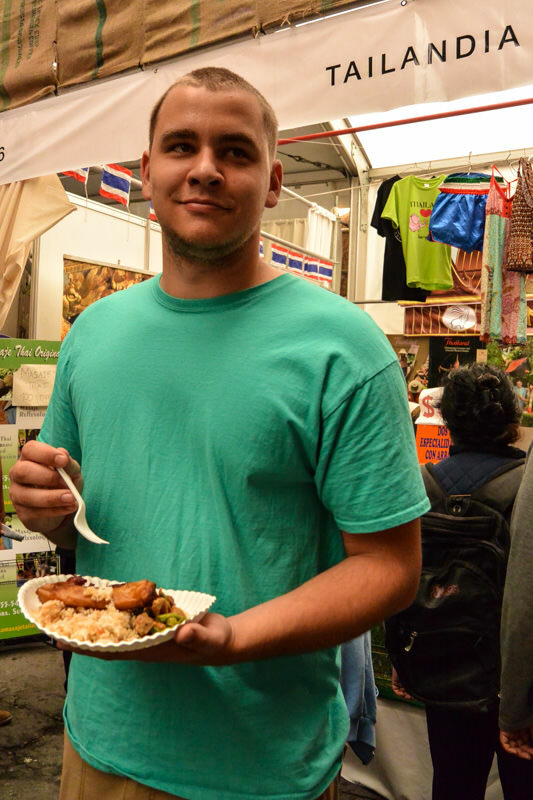 The multitude of delicious food definitely helps, and my brother even got to sample international cuisines. 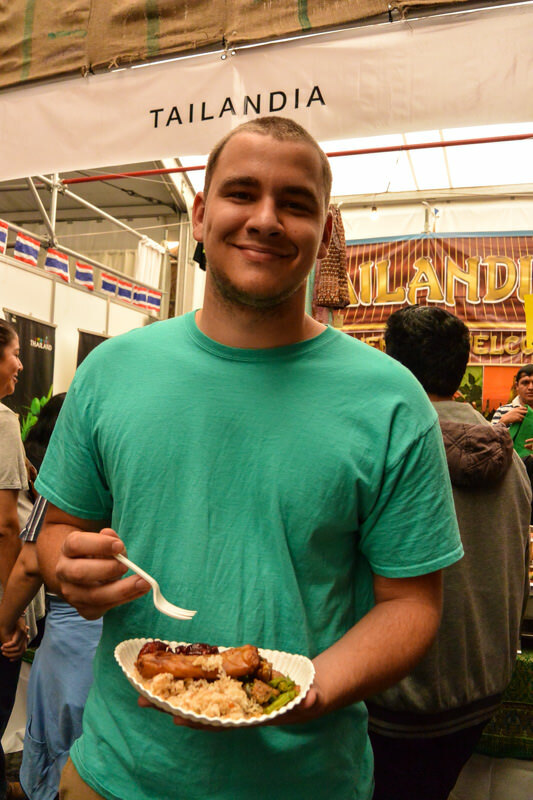 I was most excited for him to try Thai food, in advance of my destination wedding in Koh Tao later in the year. 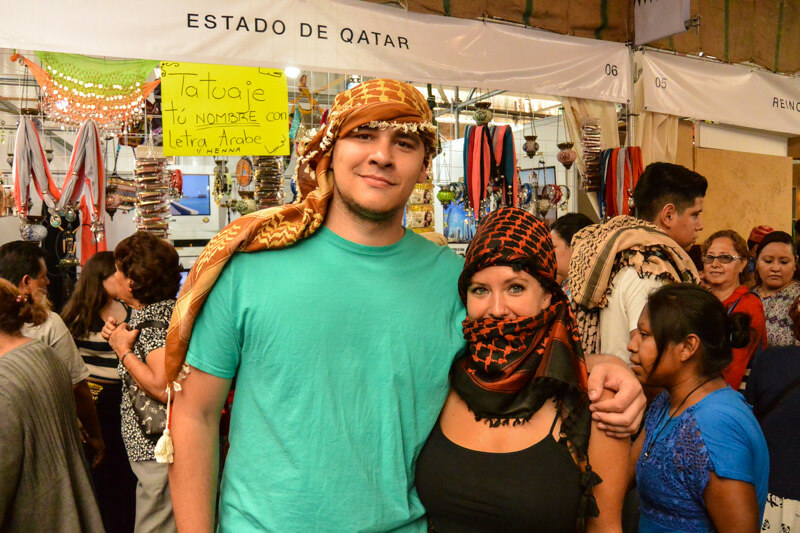 Another highlight of the Friendly Culture Fair was the opportunity to become more immersed in other cultures, including music, decor, and even clothing.We made a new Qatari friend who dressed us up, and exclaimed what a cute couple we made… before we quickly explained that we’re actually siblings! 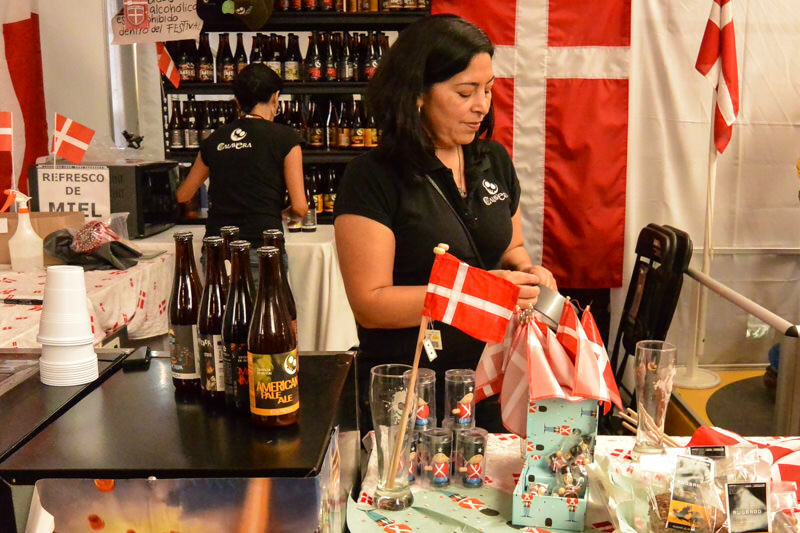 What is the Friendly Culture Fair (La Feria de las Culturas Amigas)? my favorite find:Mexicanized Israeli food. 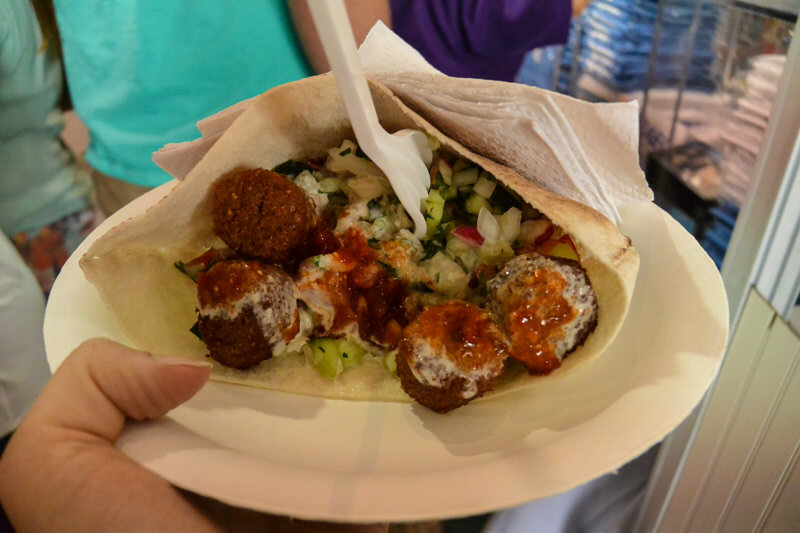 This is a latin version of falafel with both tahini and hot sauce! Officially named La Feria de las Culturas Amigas in Spanish, this fabulous fair is held just once a year and coming up fast, in May 2017. The exact dates are still TBD, which isn’t unusual in Mexico, even a month away. Friendly Cultures Fair 2017 is slated to bring in almost 100 countries with whom Mexico has diplomatic relations. 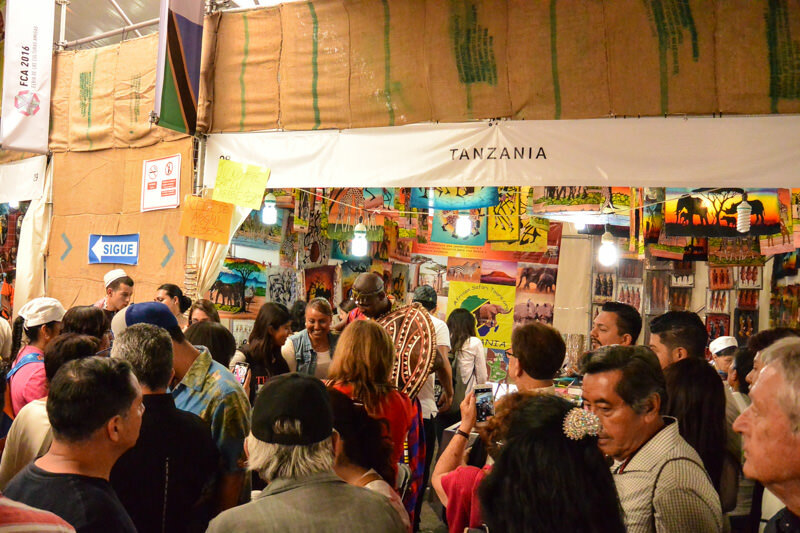 Last year (and the year prior), 94 countries were represented with over 200 cultural activities. 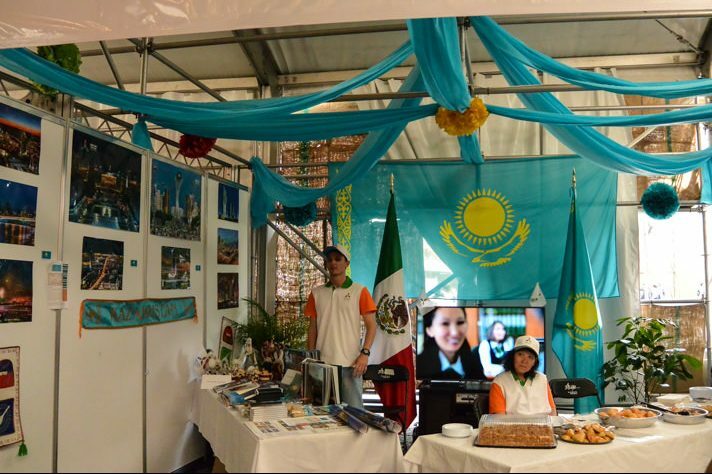 Each nation decorates a booth to represent its culture through flags, trinkets, and decorations. Many of the participating representatives also dress up either in the nation’s colors, or in a culturally expressive outfit. My favorite representation of each nation? THEIR FOOD! This year, the Ivory Coast will serve as the special guest country, with increased emphasis on that nation’s culture and heritage. The overall theme of the La Feria de Las Culturas Amigas 2017 will be “Cultural Diversity”. If you’re in town, you don’t want to miss it! 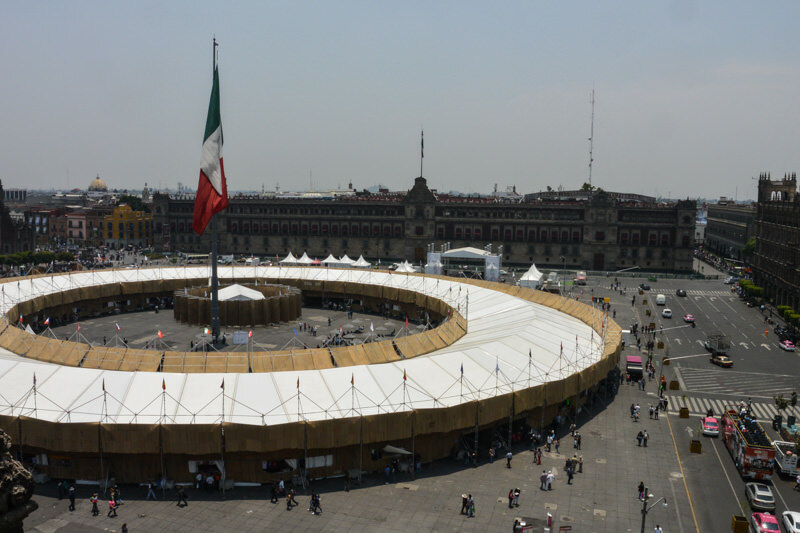 In 2016, the Friendly Cultures Fair was held primarily in the Zocalo, and it got a bit crowded. Actually, “a bit crowded” might be the understatement of the year. 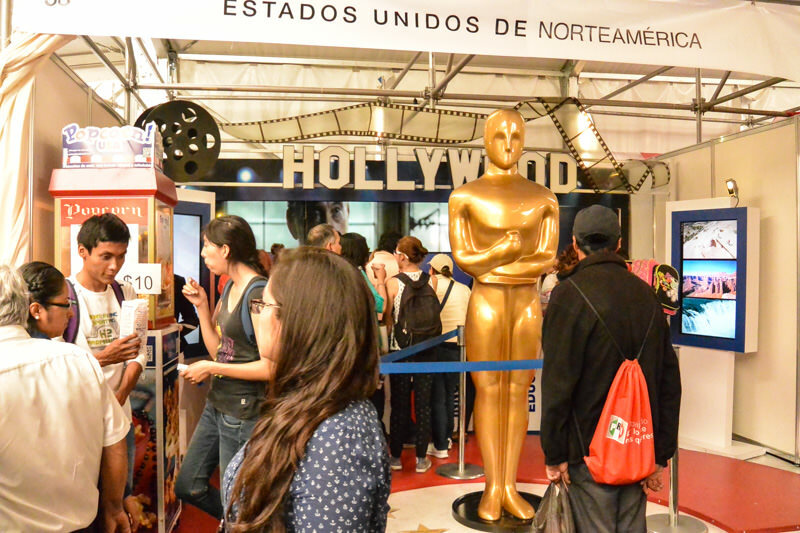 It was PACKED, and over 3.5 million people visited throughout the course of the fair. 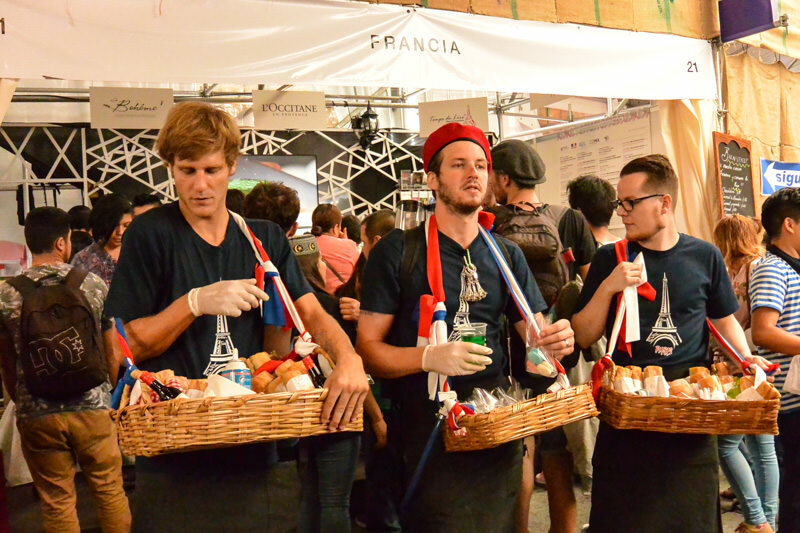 This year, in 2017, there will be two pavilions for increased accessibility, a main pavilion in the Zocalo focusing on culture, and a second pavilion in the nearby Plaza of Santo Domingo with a focus on food (hells yes). 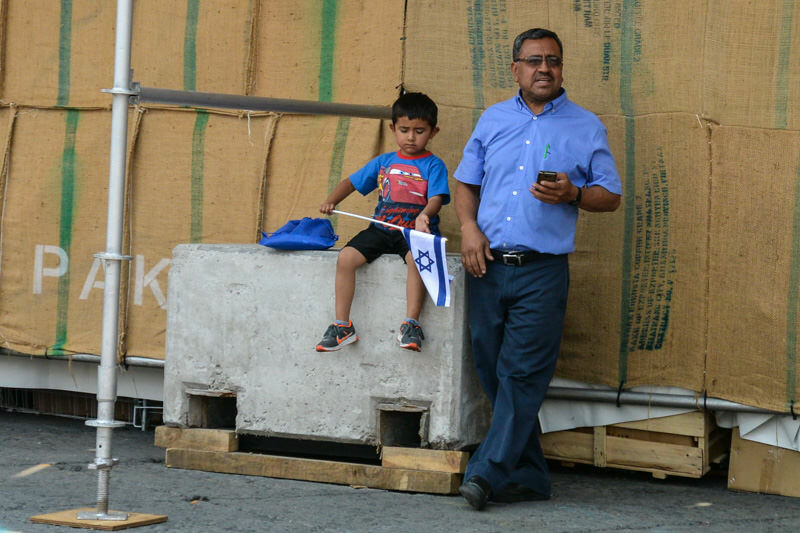 Both of these locations are in the Centro Historico district. To avoid the crowds at this popular fair, try to arrive as soon as the fair is slated to open. In 2016, there were already people lining up an hour before! While it’s never fun to be stuck in a crowd, it is awesome to see so many people excited about sharing culture. As mentioned above, this year the city of Mexico City has planned ahead to create less visitor density (and more comfort) by separating Gastronomy and Culture in two different pavilions. Bring a filled reusable water bottle with you (in Mexico City the ones with a built-in filter are especially handy as tap water isn’t drinkable), to avoid needing to buy disposable plastic. If you’re trying interesting new foods, you might stumble across something spicy! Watch out for pick pockets. Try to avoid carrying valuables, but if you need to, keep them close and tucked away. I always recommend the Travelon slash proof, pickpocket-preventing bags as best for carrying around Mexico City. I own two (this fanny pack I’ve turned into a cross body, and the bucket bag ) and never leave home without one. 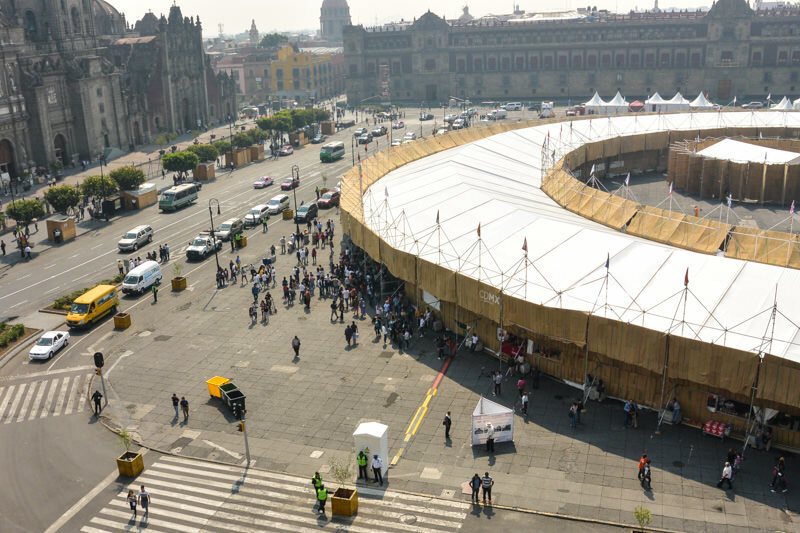 In 2009, Mexico City was deeply affected by the AH1N1 flu epidemic, causing a drastic drop in tourism. 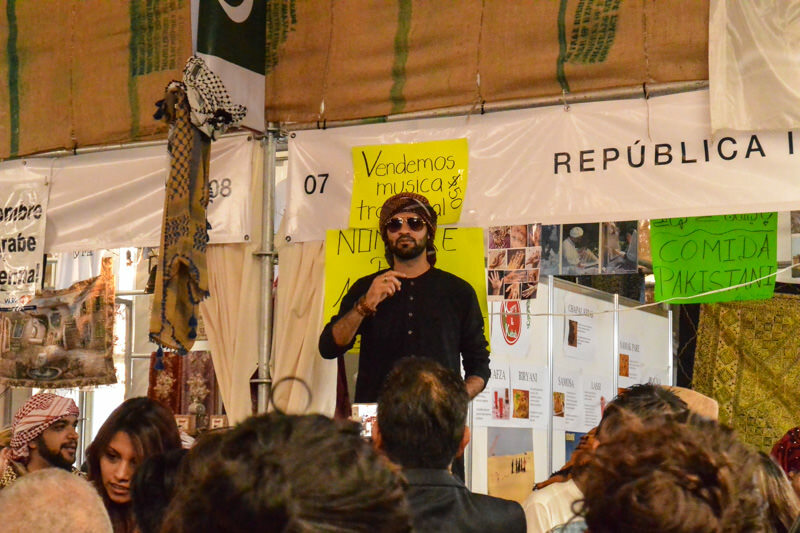 The International Affairs Office of Mexico City, along with the support of 50 Embassies in Mexico, created the Friendly Cultures Fair. 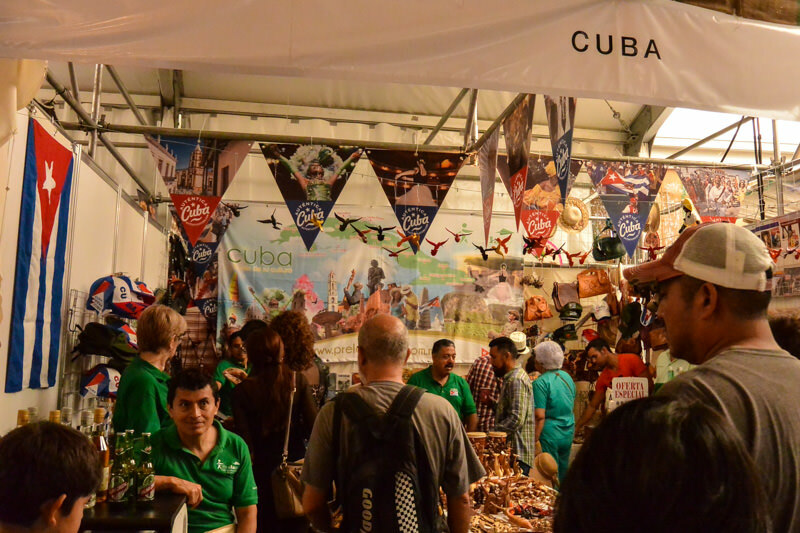 The fair was a way to celebrate the countries that stood in solidarity with Mexico during the health alert, while also drawing in tourists and creating more cultural awareness. Each year, the fair has grown with more and more visitors, last year reaching over 3.5 million. Will you go to the Friendly Cultures Fair 2017? Previous Post How to Safari Without Leaving the Americas: See Lions, Tigers, and Bears OH MY! Haha he has definitely been brought over to the dark side! He’s currently planning a summer Central America trip, his first-ever overseas adventure without me.